Siskiyou lewisia (Lewisia cotyledon): growing, planting, caring. Plant with pretty spring bloom, easy and not very invasive. 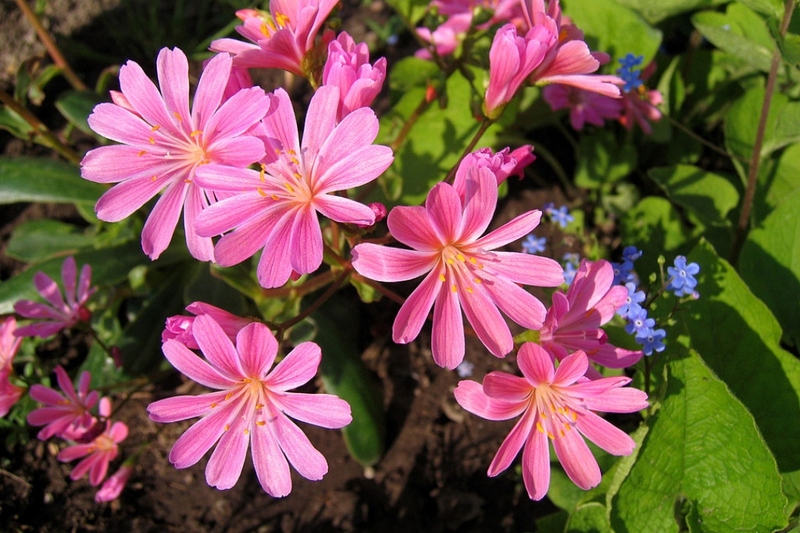 Siskiyou lewisia blooms in the spring, and does not exceed 30 cm. It forms a basal rosette of dark, waxy leaves, surmounted by star-shaped flowers with eight long petals. It is a plant that appreciates fresh, drained soils and full sun. It can be grown in pots or planters, but despite its appearance of succulent it should be watered regularly. In open soil, plant in a drained soil, moderately sandy, neutral to slightly alkaline, in full sun, even in the shade for robust species. In pots, mix garden soil with gravel and sand, and some ripe compost. Be the maser of your flowerbeds – don't let anything develop too quickly to the detriment of other plants. Water during the summer season once a week if the weather is dry. Remember to keep the leaves dry ! If your plant is in a pot, water once a week in the first month - then every 10-12 days in the winter. Mulching will lessen the need for watering and weeding in summer.